DP Nightstand Event – Fiction | What's On My Nightstand? 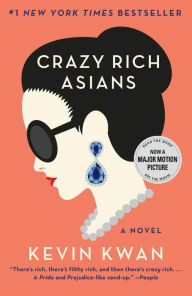 During the summer “What’s on Your Nightstand” event at the Des Plaines campus, the following fiction books were discussed. Next week, I will post the nonfiction titles discussed. FYI, Oakton now has an ebook collection. Some of the title links below lead to our eReadIllinois collection. Why not download one of the apps on your device and start reading now! Remember, if Oakton doesn’t own the print book or our copy is checked out, you can order a copy to be sent from one of our consortium libraries for FREE! Most books take less than a week to arrive. “Marie Laure lives with her father in Paris within walking distance of the Museum of Natural History where he works as the master of the locks (there are thousands of locks in the museum). When she is six, she goes blind, and her father builds her a model of their neighborhood, every house, every manhole, so she can memorize it with her fingers and navigate the real streets with her feet and cane. When the Germans occupy Paris, father and daughter flee to Saint-Malo on the Brittany coast, where Marie-Laure’s agoraphobic great uncle lives in a tall, narrow house by the sea wall. Doerr’s gorgeous combination of soaring imagination with observation is electric. 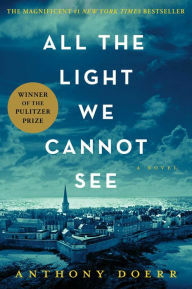 Deftly interweaving the lives of Marie-Laure and Werner, Doerr illuminates the ways, against all odds, people try to be good to one another” (Descriptive content provided by Syndetics). On Nick’s arm, Rachel may as well have a target on her back the second she steps off the plane, and soon, her relaxed vacation turns into an obstacle course of old money, new money, nosy relatives, and scheming social climbers” (Descriptive content provided by Syndetics). “Jason Fitger is a beleaguered professor of creative writing and literature at Payne University, a small and not very distinguished liberal arts college in the midwest. His department is facing draconian cuts and squalid quarters, while one floor above them the Economics Department is getting lavishly remodeled offices. His once-promising writing career is in the doldrums, as is his romantic life, in part as the result of his unwise use of his private affairs for his novels. His star (he thinks) student can’t catch a break with his brilliant (he thinks) work Accountant in a Bordello, based on Melville’s Bartleby. In short, his life is a tale of woe, and the vehicle this droll and inventive novel uses to tell that tale is a series of hilarious letters of recommendation that Fitger is endlessly called upon by his students and colleagues to produce, each one of which is a small masterpiece of high dudgeon, low spirits, and passive-aggressive strategies” (Descriptive content provided by Syndetics). “Here is a title that demands—and commands—attention in and of itself. Yet Thompson’s latest collection is no literary dare, delivering as it does twelve dazzling new stories that together offer, with wit, humor, and razor-sharp perception, a fictional primer on how Americans live day to day. In Thompson’s writing, The New York Times Book Review has noted, ‘some of the biggest satisfactions happen line by line, thanks to Thompson’s effortless ability to tip her prose into the universal.’ Thompson succeeds as ‘one of our most astute diagnosticians of contemporary experience'” (Descriptive content provided by Syndetics). “‘Lydia is dead. But they don’t know this yet’ . . . So begins the story of this exquisite debut novel, about a Chinese American family living in 1970s small-town Ohio. Lydia is the favorite child of Marilyn and James Lee; their middle daughter, a girl who inherited her mother’s bright blue eyes and her father’s jet-black hair. Her parents are determined that Lydia will fulfill the dreams they were unable to pursue—in Marilyn’s case that her daughter become a doctor rather than a homemaker, in James’s case that Lydia be popular at school, a girl with a busy social life and the center of every party. 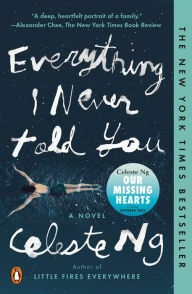 When Lydia’s body is found in the local lake, the delicate balancing act that has been keeping the Lee family together tumbles into chaos, forcing them to confront the long-kept secrets that have been slowly pulling them apart. James, consumed by guilt, sets out on a reckless path that may destroy his marriage. Marilyn, devastated and vengeful, is determined to find a responsible party, no matter what the cost. Lydia’s older brother, Nathan, is certain that the neighborhood bad boy Jack is somehow involved. But it’s the youngest of the family—Hannah—who observes far more than anyone realizes and who may be the only one who knows the truth about what happened” (Descriptive content provided by Syndetics). “From Harper Lee comes a landmark new novel set two decades after her beloved Pulitzer Prize–winning masterpiece, To Kill a Mockingbird. Maycomb, Alabama. Twenty-six-year-old Jean Louise Finch—”Scout”—returns home from New York City to visit her aging father, Atticus. 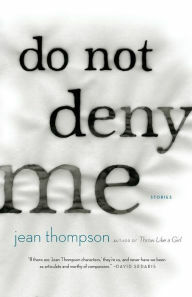 Set against the backdrop of the civil rights tensions and political turmoil that were transforming the South, Jean Louise’s homecoming turns bittersweet when she learns disturbing truths about her close-knit family, the town, and the people dearest to her. Memories from her childhood flood back, and her values and assumptions are thrown into doubt. 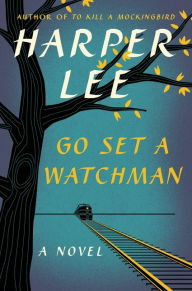 Featuring many of the iconic characters from To Kill a Mockingbird, Go Set a Watchman perfectly captures a young woman, and a world, in painful yet necessary transition out of the illusions of the past—a journey that can only be guided by one’s own conscience” (Descriptive content provided by Syndetics). “Mr. and Mrs. Darcy are looking forward to a relaxing stay with dear friends when their carriage is hailed by a damsel-in-distress outside of the village of Highbury. Little do the Darcys realize that gypsies roam these woods, or that both their possessions and the woman are about to vanish into the night. 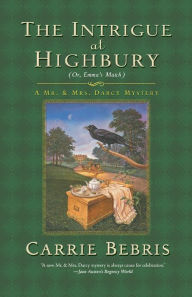 When the Darcys and the Knightleys join forces to investigate the crimes, they discover that the robbery and Edgar Churchill’s death may be connected. Together they must work to quickly locate the source of the poison and the murderer’s motive—before the killer can strike again” (Amazon). 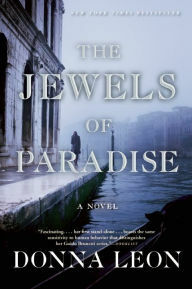 “Caterina Pellegrini is a native Venetian, and like so many of them, she’s had to leave home to pursue her career. With a doctorate in baroque opera from Vienna, she lands in Manchester, England. Manchester, however, is no Venice. When Caterina gets word of a position back home, she jumps at the opportunity. The job is an unusual one. After nearly three centuries, two locked trunks, believed to contain the papers of a baroque composer have been discovered. Deeply-connected in religious and political circles, the composer died childless; now two Venetians, descendants of his cousins, each claim inheritance. Caterina’s job is to examine any enclosed papers to discover the “testamentary disposition” of the composer. But when her research takes her in unexpected directions she begins to wonder just what secrets these trunks may hold” (Descriptive content provided by Syndetics). “English magicians were once the wonder of the known world, with fairy servants at their beck and call; they could command winds, mountains, and woods. But by the early 1800s they have long since lost the ability to perform magic. They can only write long, dull papers about it, while fairy servants are nothing but a fading memory. All goes well until a rival magician appears. Jonathan Strange is handsome, charming, and talkative—the very opposite of Mr Norrell. Strange thinks nothing of enduring the rigors of campaigning with Wellington’s army and doing magic on battlefields. Astonished to find another practicing magician, Mr Norrell accepts Strange as a pupil. But it soon becomes clear that their ideas of what English magic ought to be are very different. 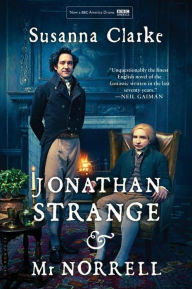 For Mr Norrell, their power is something to be cautiously controlled, while Jonathan Strange will always be attracted to the wildest, most perilous forms of magic. 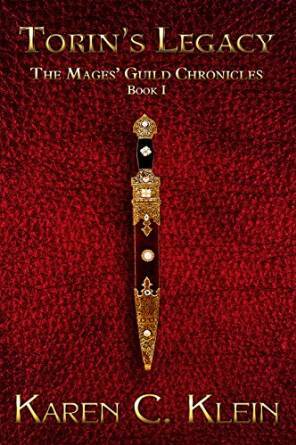 He becomes fascinated by the ancient, shadowy figure of the Raven King, a child taken by fairies who became king of both England and Faerie, and the most legendary magician of all. Eventually Strange’s heedless pursuit of long-forgotten magic threatens to destroy not only his partnership with Norrell, but everything that he holds dear” (Descriptive content provided by Syndetics). “At the end of The Vintage Caper, Sam had just carried off a staggering feat of derring-do in the heart of Bordeaux, infiltrating the ranks of the French elite to rescue a stolen, priceless wine collection. With the questionable legality of the adventure—and the threat of some very powerful enemies!—Sam thought it’d be a while before he returned to France, especially with the charms of the beautiful Elena Morales to keep him in Los Angeles. 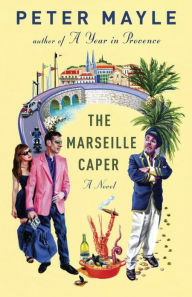 But when the immensely wealthy Francis Reboul—the victim of Sam’s last heist but someone who knows talent when he sees it—asks our hero to take a job in Marseille, it’s impossible for Sam and Elena to resist the possibility of further excitement . . . to say nothing of the pleasures of the region. Soon the two are enjoying the coastal sunshine and the delectable food and wine for which Marseille is known. Yet as a competition over Marseille’s valuable waterfront grows more hotly disputed, Sam, representing Reboul, finds himself in the middle of an increasingly intrigue-ridden and dangerous real-estate grab, with thuggish gangsters on one side and sharklike developers on the other” (Descriptive content provided by Syndetics). 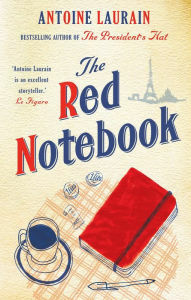 “Bookseller Laurent Letellier comes across an abandoned handbag on a Parisian street and feels impelled to return it to its owner. The bag contains no money, phone or contact information. But a small red notebook with handwritten thoughts and jottings reveals a person that Laurent would very much like to meet. Without even a name to go on, and only a few of her possessions to help him, how is he to find one woman in a city of millions?” (Descriptive content provided by Syndetics). Spanning decades, moving back and forth in time, and vividly depicting life before and after the pandemic, this suspenseful, elegiac novel is rife with beauty. As Arthur falls in and out of love, as Jeevan watches the newscasters say their final good-byes, and as Kirsten finds herself caught in the crosshairs of the prophet, we see the strange twists of fate that connect them all. 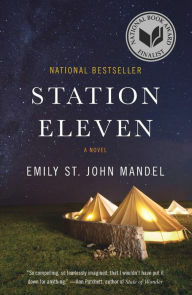 A novel of art, memory, and ambition, Station Eleven tells a story about the relationships that sustain us, the ephemeral nature of fame, and the beauty of the world as we know it” (Descriptive content provided by Syndetics). 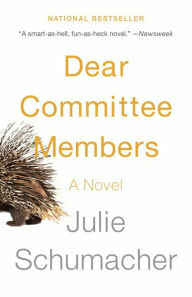 “Alice Howland, happily married with three grown children and a house on the Cape, is a celebrated Harvard professor at the height of her career when she notices a forgetfulness creeping into her life. As confusion starts to cloud her thinking and her memory begins to fail her, she receives a devastating diagnosis: early onset Alzheimer’s disease. Fiercely independent, Alice struggles to maintain her lifestyle and live in the moment, even as her sense of self is being stripped away. 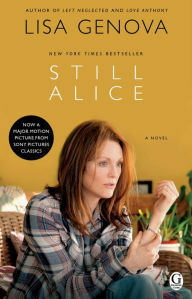 In turns heartbreaking, inspiring, and terrifying, “Still Alice “captures in remarkable detail what it’s like to literally lose your mind…” (Descriptive content provided by Syndetics). “Oto-san is down and out. Life has conspired against him and nothing is coming together the way he wished—so he sets out with his car to get away from it all. 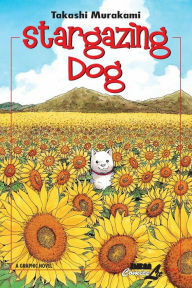 All the people around Oto-san have abandoned him in indifference but as readers discover along with him, the one he can count on utterly and completely is his adopted dog. His dog follows him blindly and faithfully to the end—lightening up his new adventure into the unknown” (Descriptive content provided by Syndetics). “‘To choose magic’? After Andrew’s dad died, his mom wanted him to have a normal non-magical life in Los Angeles. His Aunt Mac had another idea—she wanted him to move to Chicago to become her apprentice. Andrew chose the Mages’ Guild over his mother. He never thought his choice would land him into a world of High Magic, being chased by Shadows in a place with ever-changing scenery where you can’t rely on a map to get you home” (Descriptive content provided by Syndetics).